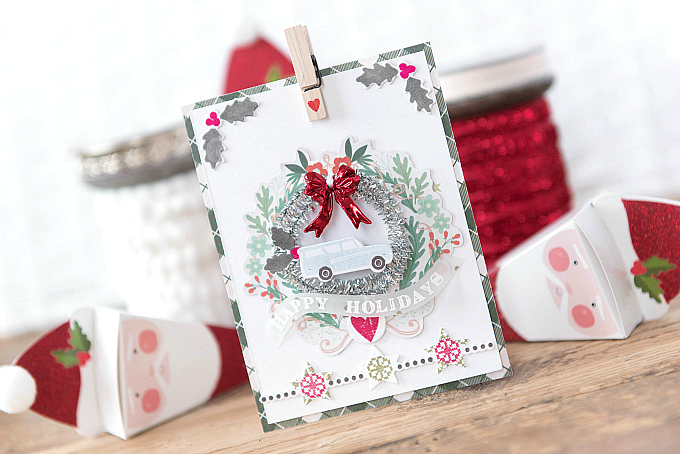 Another little Holiday card today along with a pile of festive Santa boxes. Everything scattered about as I happily pull together all of this Season's gifting. This year, we will be gifting a lot of homemade baked goods and sweet confections, which means pretty boxes, sweet trim, and tags + cards of all shapes and sizes. I love these bitty treat boxes that come all decorated and ready to assemble. It's saved me a lot of time in contrast to making my own, and since I've been a little under the weather this month, it's come in very handy having little things like this ready-to-go. I've also been looking for easy and quick recipes to help with keeping things simple as I get better, and I found one I just love! As for these little packages, I plan to fill them with handmade truffles and add them to the various baked goods I'll be sharing! And of course, in every package, I'll be tucking in a card or tag for some extra sweet Season's Greetings! Thank you again to everyone who picked one up - I hope it will help bring your holiday crafting together with ease! 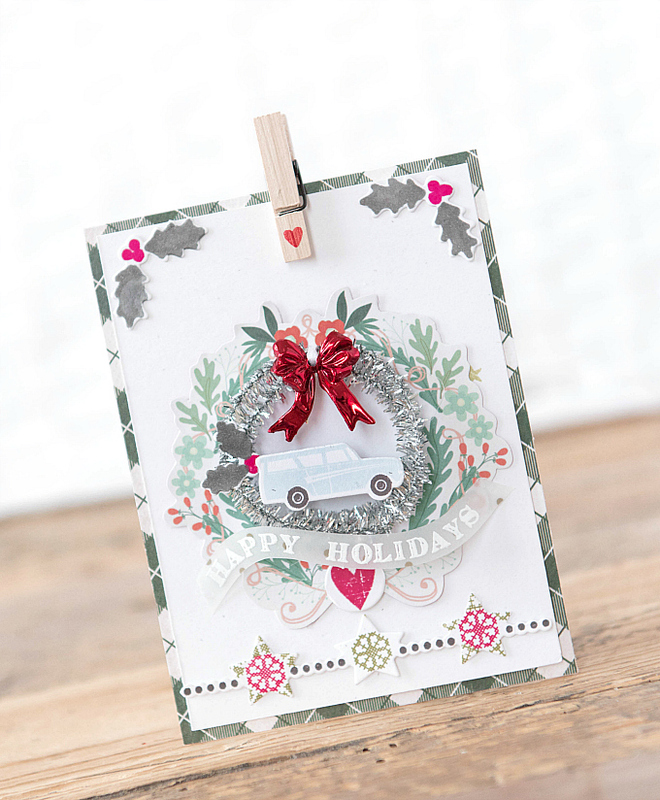 To start, I used a plaid patterned paper, layered with a smaller Rustic White cardstock base from PTI. For the top of the card, I decorated the corners with wee berries and holly, cut using PTI's Holly Die collection, colored with Copic markers. Just below that, I used one of the fussy cut wreaths from the kit, and layered a pretty little tinsel wire on top for some dimension. 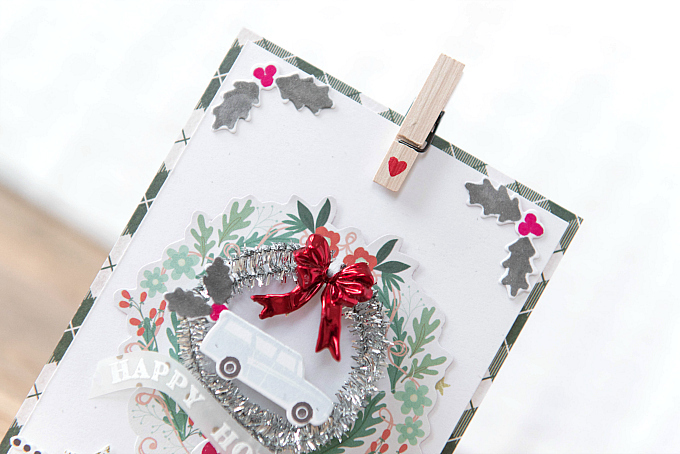 Just atop the tinsel, I added a sweet little metallic bow, a pale blue station wagon cut from PTI's Petite Places: Happy Camper, and stamped with the matching stamp set, in Spring Rain. I stamped the holiday sentiment onto a piece of vellum and cut a little banner using my scissors. Just below that I tucked in a little heart, stamped in Pure Poppy ink, using PTI's Love Lives Here stamp set. 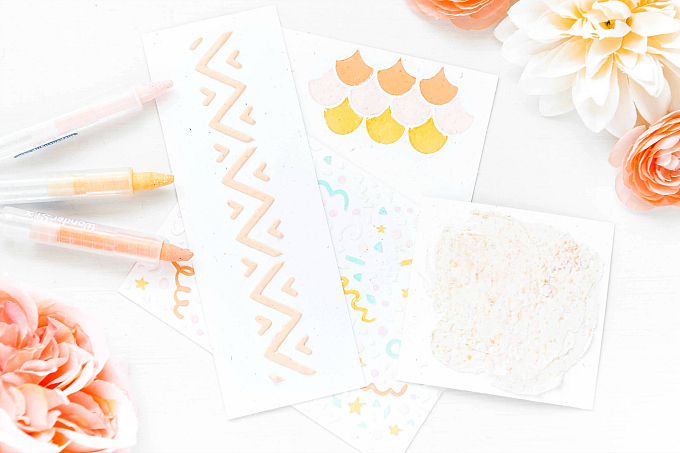 The star banner was cut using PTI's Confetti Garland die, and stamped with Stitched Sentiments, in Pure Poppy and Ripe Avocado ink. And before I go, here's the recipe I promised! 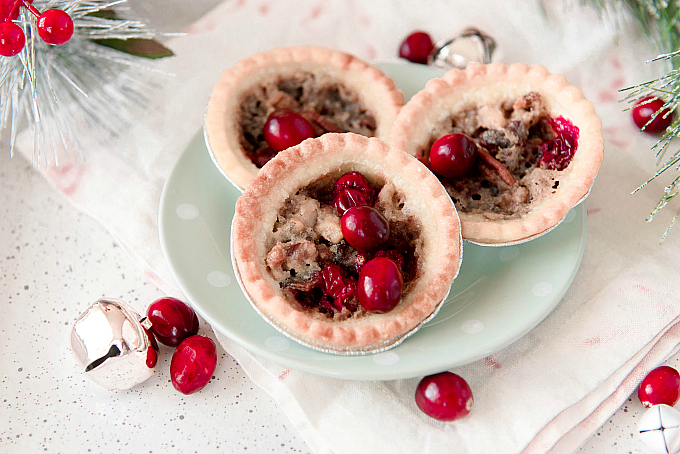 These little tarts make for wonderful and delicious gifts and are super easy to whip up! I especially love the festive twist on this traditional recipe, with the bright crimson cranberries and hint of orange! Should you be in need of a quick and easy little treat for your holiday baking, you can find the full recipe here. And just in case you want to make it extra special, here's a recipe for the yummy crust, too! Well look at you with the traditional reds and greens! 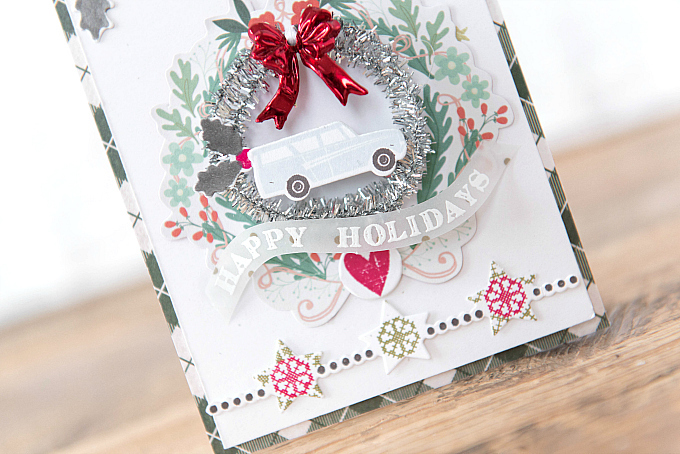 The pretty little shimmering wreath with the fancy bow is wonderful!